The North American Youth Exchange Network shall facilitate collaboration among and provide support to Rotary Districts and Multi-Districts in the USA, Canada, and Mexico to promote Rotary youth exchange around the world. In February 2000, two Rotary Youth Exchange leaders, Rick Russell and Dr. Abe Kuttothara, arranged for a conference to be held at the Orrington Hotel in Evanston, Illinois, USA. It was an attempt on their part to resurrect a fledgling “USA-Canada” group which had been inactive for a number of years. The initial conference was so informally organized, that Abe Kuttothara charged approximately $20,000 US to his credit card, with the hope of being reimbursed through registration fees. The event was a success on multiple fronts. There were over 50 Rotarian participants, with a few coming from non-USA-Canada countries. Abe was reimbursed! Significant discussion and collaboration took place. Some ad hoc committees were formed …. and the leaders decided to hold another conference in a year’s time. So began the humble start. Over the next one and one-half years, the loosely formed group evolved into a more formal organization. 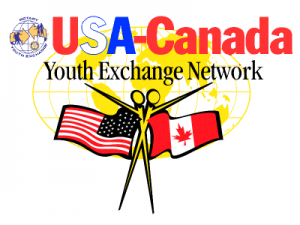 On September 13, 2001 the new organization became incorporated as the “USA-Canada Youth Exchange Network, Inc”. Along with this formality came the development of by-laws and a system of representation. Directors were distributed equally among the 14 Rotary zones in Canada and the USA. Rick Russell, one of the founding fathers, became the first president (2000-2002). At the 2007 conference in Philadelphia, USA, Achievement Award certificates were distributed for the first time. The bronze, silver and gold levels were to recognize districts which demonstrated leadership and best practices. The District of the Year Award was renamed the Dr. Abe Kuttothara – Outstanding District Award, in memory of one of our co-founders. Conference Chair, Dan Bronson (later President 2009-2011), introduced the “book donation” initiative, which has become an integral part of the annual conference and benefited many local schools through the generous donations of the conference participants. 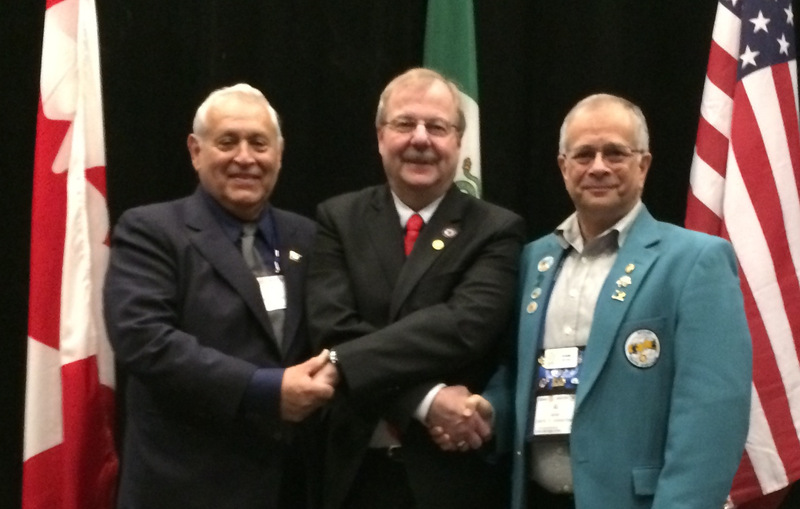 Through the initiative of President Dennis White, Mexico was welcomed into the organization at the 2008 Reno, USA conference. This officially was recognized on September 15, 2008, when an amendment was made to our articles of incorporation. On that date, we became known as “North American Youth Exchange, Inc.”, or NAYEN, for short. Along with a new name came a new logo, incorporating the map of North America. Shortly afterwards, NAYEN was restructured. Representation by Rotary zones was changed to a new regional structure, mostly based on existing multidistricts and by the grouping of independent districts. A committee recommended that director representation be based on two factors: the number of districts and their level of exchanges. This recommendation was adopted by the Board and the new structure included 21 Board members: 7 Officers and 14 Directors, representing 11 regions. NAYEN continued to develop an extensive structure of committees and embrace initiatives beyond the conference. Online training was developed and made available without charge to the Rotary world. By 2011, the number of conference registrants was just under 300. A NAYEN Conference Chair became a new and critical position to ensure a consistent, high quality conference each year. A comprehensive set of conference guidelines were developed to meet this objective. Districts looking to host future NAYEN conferences went through a bidding process. In Anchorage, USA at the 2012 conference, President Woody Angst hosted the first “Leaders Meeting”. There, representatives of the other two main regional associations (EEMA and ABIJ), RI Director, Ken Grabeau, and RI YE Staff, Kate Hoeppel participated in discussions to promote increased dialogue and sharing. This later lead to reciprocal agreements among ABIJ, EEMA and NAYEN where the presidents of these regional associations would be hosted at each other’s conferences, with registration and hotel complimentary. This has lead to a significantly high level of interaction and collaboration with significant results in promoting best practices. President Don Peters lead the way in formulating a well-developed Strategic Plan to carry NAYEN forward over the next several years. One of the most significant initiatives was the development of a series of online training modules to ensure consistent, high quality training, which met the requirements of Rotary, the US Department of State and CSIET (Council on Standards for International Educational Travel). The 2015 conference in Little Rock, USA surpassed the 400 registrants mark. Typically there is representation from over 20 countries at the annual NAYEN conference.